Capital O JPS Residency is a premier hotel located on Bhartendu Harish Chandra Marg in Anand Vihar. Akshardham, Yamuna Ghat, Shah Burj, Mumtaz Mahal, The Moti Masjid, and Bahubali Park are some popular attractions nearby. 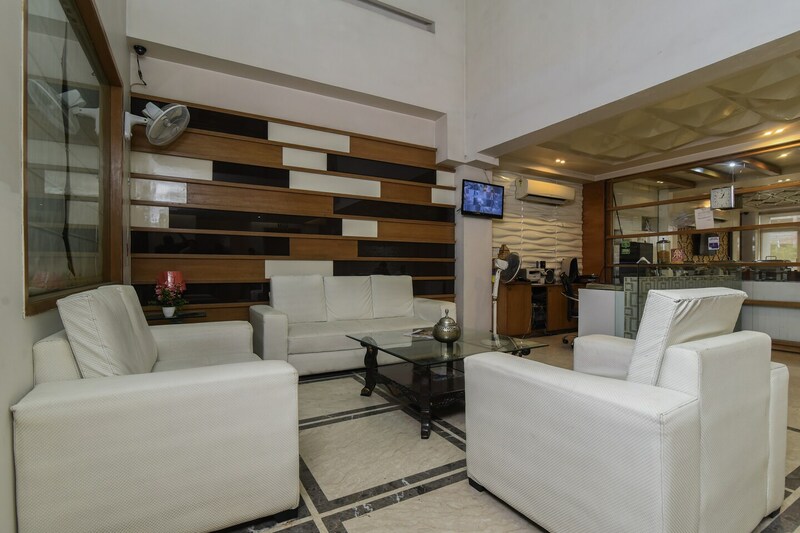 The hotel is strategically located near Anand Vihar Railway Station and Karkarduma Metro Station. Each room comes with a king sized bed, TV, AC, Wi-Fi, mini-fridge, and en-suite bathroom with geyser. Other important facilities offered by the hotel include parking, power backup, dining area, and conference room. Famous eateries like The Barbecue Company, Pind Balluchi, Shri Rathnam, 4th Street Cafe, and Mr Brown are situated near this hotel.